It's 1930's Austria and Maria Rainer is failing miserably in her quest to become a nun, feeling more at home in the mountains and often getting into scrapes - much to the dismay of the rest of the convent. When a telegram arrives from Captain Von Trapp looking for a new governess for his seven children, Mother Abbess spots an opportunity for Maria to experience life outside the abbey. Lucy O'Byrne was the perfect casting choice for Maria, bursting onto the stage with enthusiasm which did not dwindle as the show progressed. From the first bar of the title track you can tell O'Byrne is vocally fit for the challenge and her fellow co stars are no different. 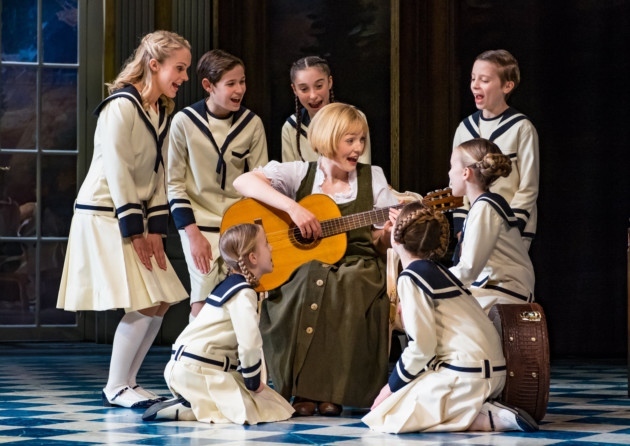 There was no chink in the armour where the Von Trapp children were concerned, all seven harmonised excellently together and filled the stage with vibrant energy. Their version of 'So Long, Farewell' was a joy to watch. Given the time the story is set, some of the plot is dated and could be portrayed as cheesy. The score however, is timeless and was being enjoyed by adults and children alike. 'The Lonely Goatherd' in particular brought laughs and had audience members clapping along. This is a fun show with a great cast who will leave you feeling alive with The Sound of Music!